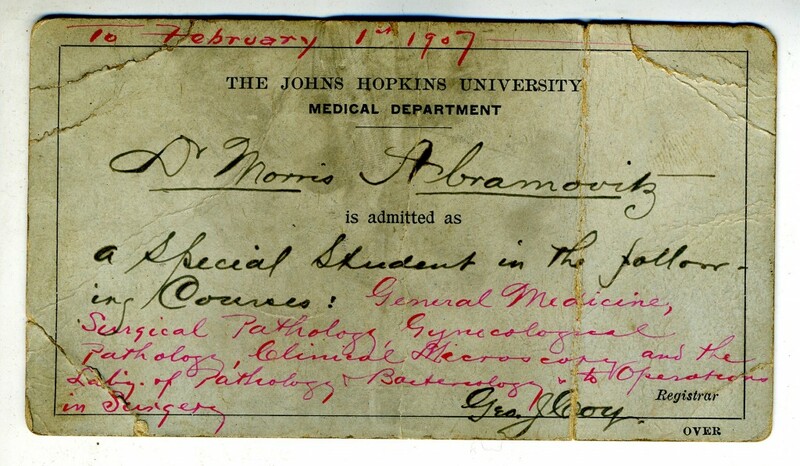 With all the Jewish doctors to choose from—once and today, in Baltimore and beyond—why does Dr. Morris Abramovitz (1879-1951) feature so prominently in Beyond Chicken Soup: Jews and Medicine in America? But as I learned more about the history of medicine, and the exhibition’s themes began to take shape, it turned out that Dr. Abramovitz was just the right person to feature here. 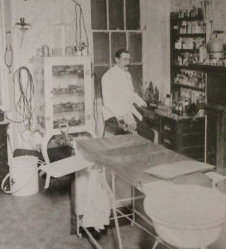 His life was both ordinary and unusual, typifying a “golden age” medical practice that also stands out with some bold departures from the norm. 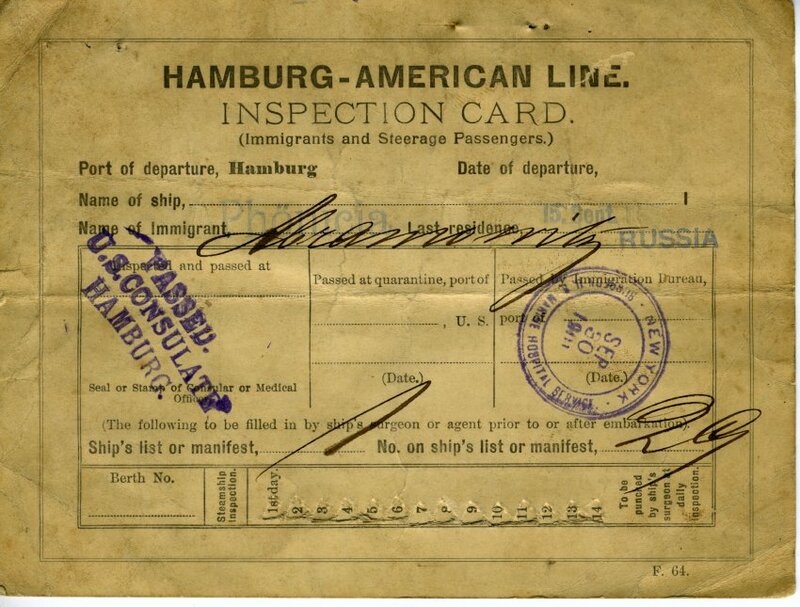 Abramovitz came alone to the United States in 1901. He was 22 years old, and apparently well-educated in Lithuania because a year after arriving he enrolled at Maryland Medical College. He took lecture notes in English. 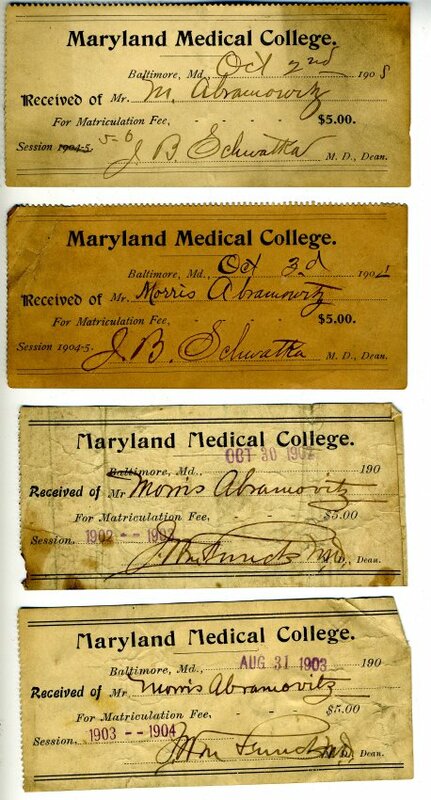 By 1907, he had completed his studies at Maryland Medical College and enrolled as a special student at Johns Hopkins University School of Medicine, taking a program of five courses in pathology, microscopy, and surgery. He worked to support himself while studying at this furious pace, tutoring in Hebrew and giving violin lessons. His violin, which still belongs to his family, is on display in the exhibition. Few immigrants were able to meet their goals so quickly; Abramovitz was a special case. Dr. Morris Abramovitz slowly built a family practice in east Baltimore, purchasing two row houses for his growing family and his office. While most of his patients were immigrants living around him, quite a few were denizens of the Fells Point docks who suffered from syphilis and he innovated rather boldly in the care he offered them. Patent description and a diagram showing how the “Combined Method Apparatus” works. The first antibiotic, Salvarsan, came on the market in 1910, soon after Abramovitz entered medical practice. 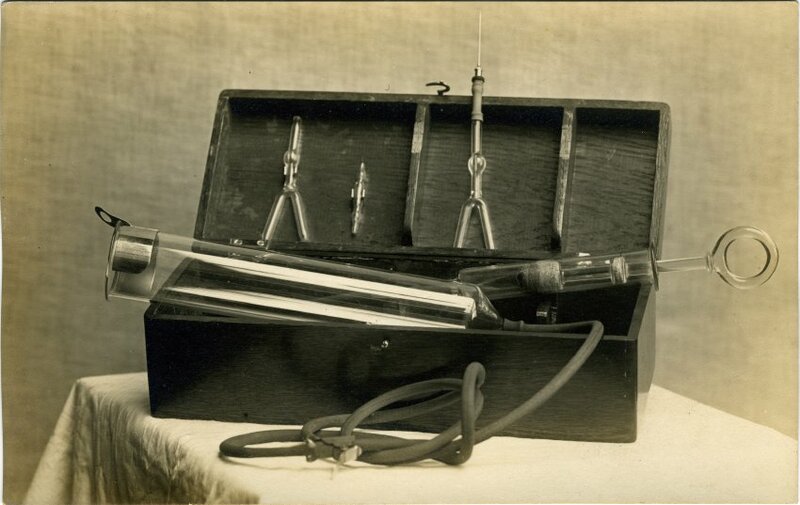 It treated syphilis, but it was difficult to use and had some nasty side effects. 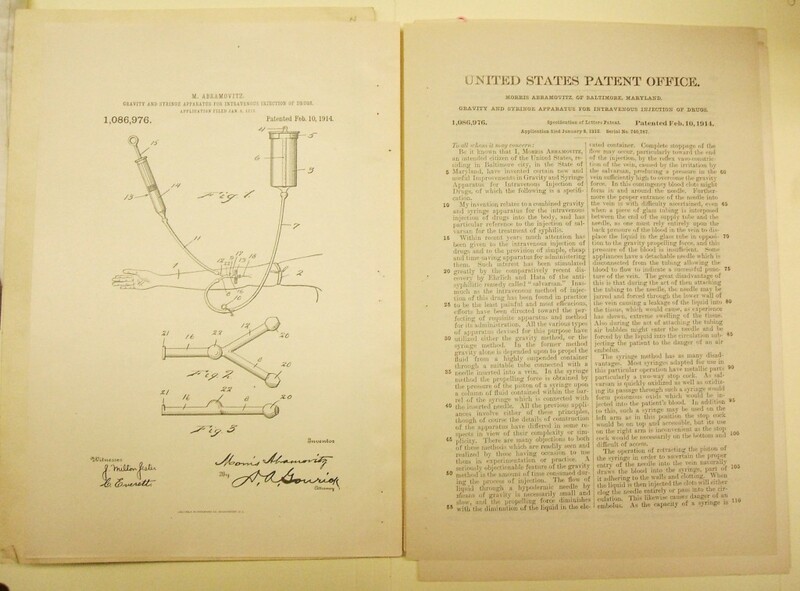 Abramovitz invented, patented, assembled, and sold a “Combined Method” injection apparatus to administer the new drug more safely, publishing positive results in medical journals. We cannot find evidence that the “Combined Method” was widely adopted in the United States, and we don’t know how long Dr. Abramovitz continued to sell his kits. Salvarsan was replaced as a treatment for syphilis with a new generation of antibiotics that became available in the 1940s. In the 1930s his son Leonard joined the practice. They worked together in East Baltimore until Morris died in 1951. Post by Exhibit Curator Karen Falk.